Face it…electric or gas water heaters usually fail at the most inopportune times and when least expected. That’s why Your Phoenix HVAC – Air Conditioning Service and Repair is available 24/7 for emergency Phoenix water heater services. 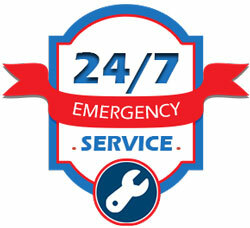 We are able to handle any type of electric or gas water heater tank repair or replacement that you may need. We offer traditional water heaters, as well as state-of-the-art tankless water heaters. Visit our tankless water heater page for more information on the benefits of going tankless. At Your Phoenix HVAC… our electric or gas water heater technicians are the best-trained in the business. Your Phoenix HVAC – Air Conditioning Service and Repair technicians participate in several hours of rigorous training each year. Our professional trainers assure that every one of our technicians are up-to-date in all aspects of electric or gas water heater repair and replacement –from new techniques to the latest tankless water heater equipment. No plumbing, heating or air conditioning company comes close to matching Your Phoenix HVAC’s commitment to quality training. With Your Phoenix HVAC’s up-front pricing policy, you can be confident that your electric or gas water heater repair or replacement won’t come with any hidden surprises. We provide up-front pricing for all of our electric or gas water heater repairs and replacements. Before we begin the electric or gas water heater repair or replacement, we will give you an accurate quote of how much the job will cost. Our quote is exactly what you will pay. The next time you are in need of an electric or gas water heater repair or replacement, there is no need to worry. Your Phoenix HVAC – Air Conditioning Service and Repair is there for you with fast, friendly, expert service; all you have to do is dial the phone or schedule an appointment online. When it comes to electric or gas water heater repair and replacement, we won’t leave you in the cold!